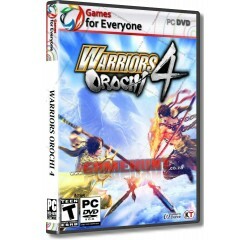 Warriors Orochi 4 - R180,00 : Game Hunt, Where we lead, others follow. 170 playable characters - the most ever for the WARRIORS series! Experience Warriors Orochi 4's narrative through the eyes of 170 characters. 165 returning from across the Dynasty Warriors, Samurai Warrior and Warriors Orochi universes - with five new characters joining the roster. Introducing "Magic" to the series, you can now experience even more thrilling and intense Musou Action! All-new additions with characters being able to cast powerful magic abilities to wipe out their foes. Combining weaponry and magic can lead to devastating attacks which will stop enemies in their tracks. An all new fantastical story that captures the essence of ancient mythology, planned and supervised by Yoshitaka Murayama! The heroes must find the key to restore these and return to their respective homes. As they begin to uncover the mystery surrounding their arrival in these new fused lands, their discoveries lead them to one deity: Zeus, the supreme god among gods. Processor - Intel Core I5 2400 or over® or equivalent AMD® processor.